A portmanteau is a word created by combining of two or more other words together to create a new one. Think smog (smoke/fog), spork (spoon/fork), turducken (turkey/duck/chicken/dark magic). 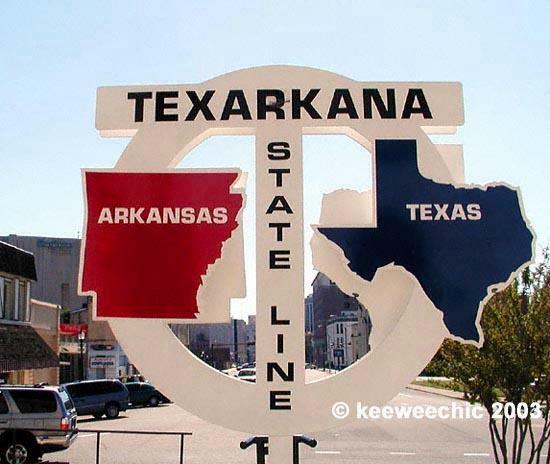 Sometimes, towns are named this way — Texarkana, TX (and Arkansas), Kanardo, KS. But not all portmantowns (© 2014, ThePlaidCrew.com) are winners. Here are some passed over town names along with the reason they were rejected. Minneindiana — Too hard to find. Texylvania — Name of an upcoming Showtime series about vampire cowboys in the Old West, co-produced by David Milch and Amy Sherman-Palladino. Oralasota — Not as fun as it sounds. Rhodakota — Valerie Harper objected. Vermaine — Already exists; commonly referred to as New Hampshire. Ohiowa — The sound a samurai makes while orgasming.